Birch bark quill boxes are unique to North America and directly associated with the Great Lakes Anishinabek. It is an art form of object embellishment using the dyed and undyed quills of the porcupine in elaborate designs. 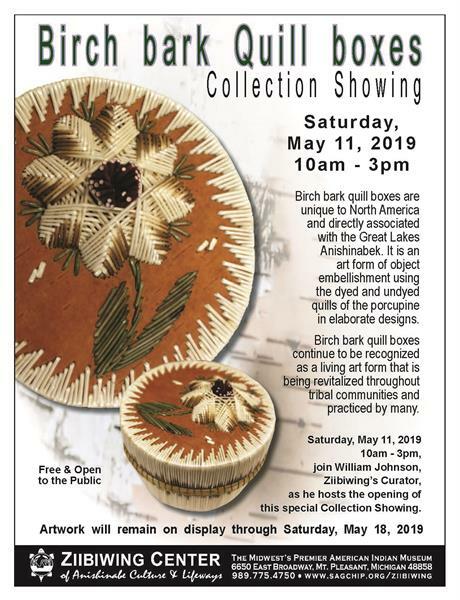 Birch bark quill boxes continue to be recognized as a living art form that is being revitalized throughout tribal communities and practiced by many. as he hosts the opening of this special Collection Showing.